Making downloadable content for a single-player game like Spider-Man is a tricky balancing act that not a lot of titles do successfully. It has to convey a compelling narrative with some new beats in a fraction of the time and throw in a few gameplay hooks so it doesn’t just feel like an extended side mission. Spider-Man’s first downloadable entry in the City That Never Sleeps saga, The Heist, has its own unique hooks and story to tell but does not add much to Spidey’s gameplay repertoire. That’s not to say that web slinging and fighting has lost its charm: it hasn’t one bit. Swinging through New York City’s metropolitan skyline is still a kinetic joy that few open-world video games can rival. Combat also still controls well and maintains a liberating amount of gadgets and melee options to choose from during brawls. But the lack of gameplay surprises is one of The Heist’s most noticeable issues. There are no new gizmos to play around with nor are there any more abilities. Even the three new suits you get don’t come with powers. Heavies with gatling guns show up a few times and are a decent addition, but taking them down requires the same strategies as the other elite enemies in the game. The Heist piggybacks almost solely off the main title’s gameplay strengths (and weaknesses, given the one Mary Jane stealth sequence). 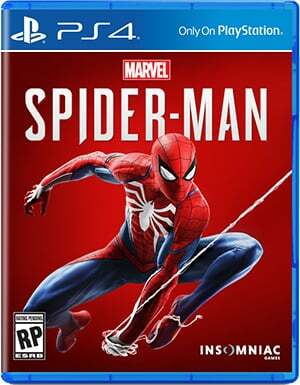 That works and gives the DLC an incredible foundation but it would have been nice to have another mechanic or gadget to play around with because, gameplay-wise, it’s just more Spider-Man. “More Spider-Man” works for the narrative because it borrows the great writing and convincing voice acting from the main game. Writing is flexible in a way that gameplay is not and is why using the same narrative framework is more successful than borrowing mechanics. The Heist uses that mentality to construct its own memorable new tale despite its familiar gameplay systems. It cleverly uses Catwoman’s Black Cat’s side missions from the campaign as a jumping off point and tells the story of the big score she was building up to. However, it goes deeper than just trying to stop a mischievous thief because of how the game gives almost everyone a personal stake in the events at hand. 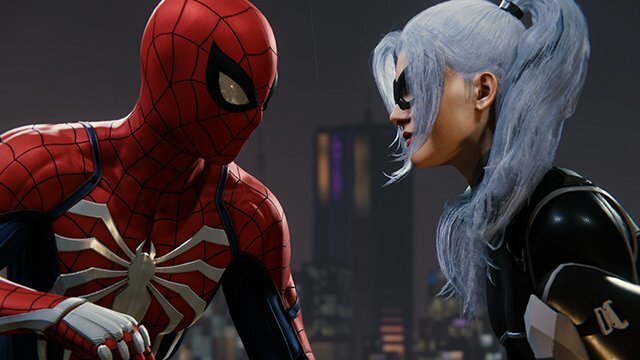 Spider-Man and Black Cat’s relationship spices up the normal “stop the thief” parts of the plot because of how the game hints at and gradually reveals their past together. Mary Jane’s involvement further complicates things and this grand picture shows a healthy, progressive look at relationships and dating in the modern age similarly to the standout texting scene in the previous campaign. The Heist twists a few of these character threads and goes in directions that push them into new places that force them to change. Unexpected revelations come forth and give us more insight into Peter, Mary Jane, and even Black Cat and their choices not only inform us of their growth but—with Peter, specifically—themselves as well. Black Cat isn’t even just the playful, seductive cat burglar she is initially sketched out to be as she goes through trials that test her character and values. Breaking established conventions and giving more depth to the existing cast is something only the best downloadable content does and it achieves this without sacrificing their existing positive traits. This debut episode accomplishes a smaller character-focused story while also keeping the grander scale in mind. Being the first entry in this three-part series, it both tells its own gripping self-contained story while laying the first bricks of what’s to come in the next two installments. It’s even slyly drops hints at a sequel. This is Black Cat’s chapter and it feels like just that—Black Cat’s chapter in a tale that involves her, but is much bigger than her. She plays her part well and it all culminates in a dastardly cliffhanger ending that makes appropriate use of its episodic format. 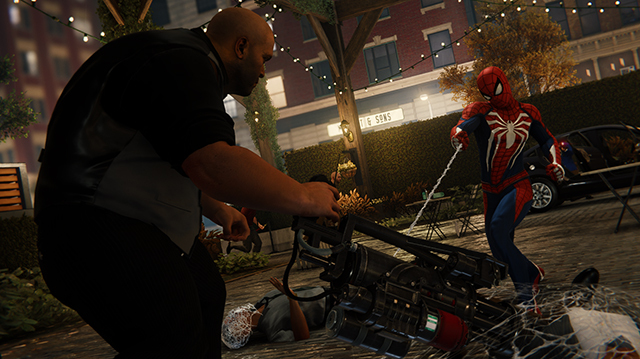 However, The Heist should have broken from the episodic structure by taking place within the main game world, especially since it still is set in New York City. Loading into a separate version of the same city is jarring because you can’t play through the DLC while chipping away at the side quests in your main save; they’re two separate entities (aside from the backpacks, landmarks, and leveling system). Making The Heist just another mission marker in the “original” New York City would have been a more cohesive and natural way to simultaneously experience the content from the root game and the add-on. Unknown complications could have prevented a unified, singular experience but it feels needlessly separated as is. Spider-Man’s first episode is fantastic in almost all the same ways that the main game is. It has a great script with well-realized characters and a combat and traversal gameplay loop that is almost endlessly satisfying. The Heist channels those positive traits wholesale, resulting in a familiar experience but one that excels because of its new character progression and well-written dialogue. The cast evolves in a way the gameplay doesn’t, which is acceptable but not entirely exciting. But even despite those relatively minor shortcomings The Heist, through successfully adding to and expanding upon the root game’s narrative, steals the show. Combat and traversal are still smooth and incredible core systems. The characters continue to evolve and grow. Tells its own story well while also setting up other episodes. Doesn’t fully integrate into the main game. Not many new noticeable gameplay additions.